Hold the viewfinder with your free hand. Focus on an interesting section of your still life with the viewfinder. Look through the viewfinder and draw the shapes in the same position and the same size as you see them. 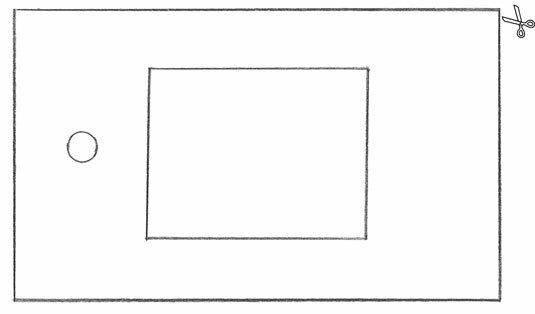 The viewfinder should be proportionate to the canvas in height and width and keep the viewfinder distance from your eyes the same while laying in your drawing.